In December, I addressed the launch of Honest Kombucha by Honest Tea in my post Kombucha's Going Mainstream. Now, Celestial Seasonings is launching their own kombucha line. Last October, Hain Celestial Group Acquired Infinitea Kombucha. 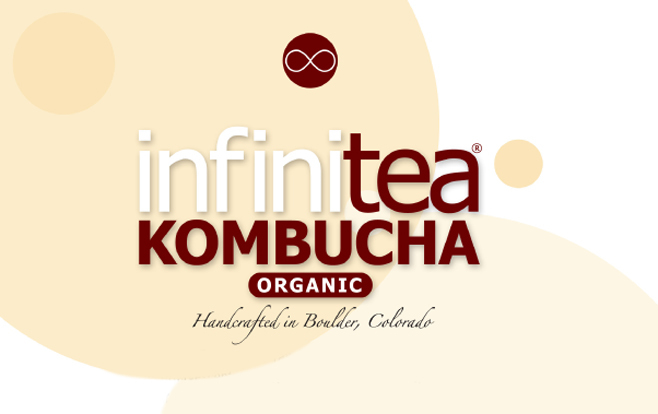 Infinitea Kombucha was an independent kombucha company begun by Nicole Gervace in 2005 in Boulder, Colorado. This month, The Hain Celestial Group announced that Celestial Seasonings is launching their own kombucha line that will be available in Whole Foods Market and other natural food stores beginning in April. For more information on Celestial Seasonings' launch of their kombucha line, read the press release. To me it is always sad to see an independent and successful company get sold to a large conglomerate. Read this 2008 article about the founder of Infinitea Kombucha, Nicole Gervace of Infinitea Kombucha on being a Successful Entrepreneur. 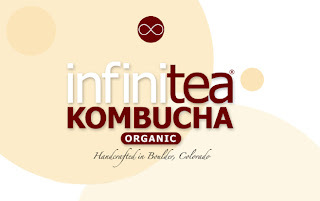 Infinitea Kombucha even used to sell at the Boulder Country Farmers Market in Colorado. Expect more comments about Celestial Seasonings Kombucha once I see it in stores.